Situated in Marmaris, this modern and spacious apartment complex is a few minutes walk from Marmaris Amphitheatre, and a short drive from Icmeler. 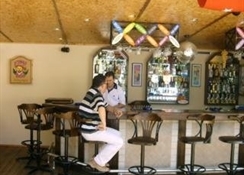 Just a short walk from Marmaris Thursday Market, it offers air-conditioned apartments with free Wi-Fi. The Ozhan Apartments Marmaris has 22 apartments and offers an outdoor swimming pool (seasonal). Welcoming and professional staff are available 24 hours a day. Other apartment complex amenities include laundry facilities, luggage storage and a safe. Every comfortable apartment at the Ozhan Apartments Marmaris has a refrigerator, a telephone and tea and coffee making facilities. For those who like to cook their own meals, each apartment is conveniently furnished with a stove. The Ozhan Apartments Marmaris''s restaurant is the perfect place to unwind following a day''s sightseeing, with a selection of Turkish dishes available. For those wishing to eat out, there are a number of dining options a short stroll from the apartment complex. Facilities include: a pool bar, restaurant, swimming pool with children's section and waterfall, reception, safe for hire and entertainment in the form of BBQ night and Turkish theme night. ***Rooms feature private bathroom, kitchenette with mini fridge, telephone, air conditioning(payable locally) and balcony. The complex enjoys a central location, 500m from the beach and the centre of Marmaris where you will find a good range of shops, bars and restaurants. Marmaris Thursday market is only 30m and the amphitheatre just 70m. Dalaman airport is 95km. 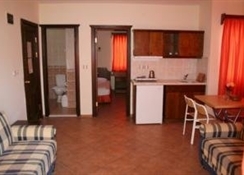 The Ozhan Apartments are a fun and lively place to stay. In a central location close enough for guests to enjoy the bars and clubs at night and the beach and shops during the day.